Regardless of the number of miles you have to go, moving tends to be a stressful experience—especially when you try to handle it alone! Rather than stress out over the packing, lifting, and hauling, turn to a Willistown moving company that’s been doing it professionally for more than 40 years now: Simonik Transportation and Warehousing. In business since 1977, we’ve worked with thousands of households and companies throughout the region, helping them carry out their most challenging local, interstate, and long-distance moves. With the support of our Allied Van Lines network and a team of highly trained Willistown movers, we provide industry-leading service and door-to-door peace of mind! 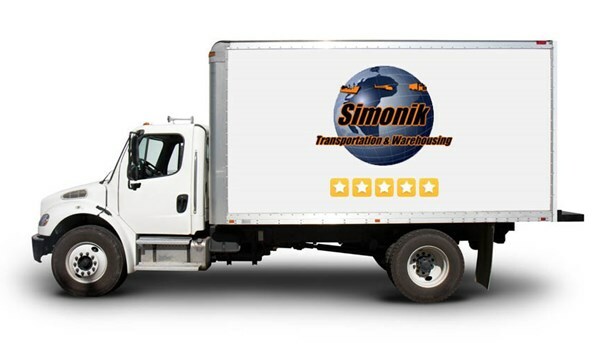 Here at Simonik Transportation, we’re never satisfied with the status quo, instead going above and beyond our customers’ expectations with every moving project. Unlike many other movers in Willistown, PA, our entire staff is committed to 100% satisfaction, from the initial moving cost estimate until the final box is delivered. Although we certainly utilize our wide-ranging Allied Van Lines network, we’ll still serve as your single point of contact and take full responsibility for the final success of your move! Residential Moving: We know that a household move involves everything your family values, and we’ll treat your belongings with the care and respect they deserve. Commercial Moving: From standard office moving to complex corporate relocations, our Allied-approved movers can handle all of your business relocation needs with an emphasis on budgetary and scheduling compliance. International Moving: As a Registered International Mover (RIM), we have the training and certifications required for an efficient, streamlined move to virtually any country in the world! Storage: Our 79,000-square-foot facility can accommodate both personal and corporate goods for any length of time. Camera surveillance and anti-fire protection will keep your belongings completely secure. Don’t let your move take over your life! Leave it to Simonik Transportation & Warehousing for a world-class experience without the stress. Call our Willistown movers to learn more, or go ahead and sign up for your free cost estimate by sending in our online form now.